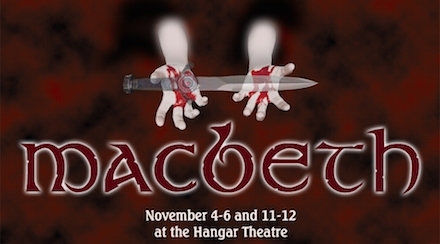 The Scottish Play begins its two-week run at the Hangar this Friday. You can take a look behind the scenes of the show in the Ithaca Times preview article, which highlights the relevance of the play to our modern world and the fight choreography's "amazing ballet of violence". One of the elements of Macbeth that makes it such a moving and troubling play is that Macbeth and his wife are well aware that they should not do what they nonetheless then go on to do. Both of them have troubled sleep as a result, and sleeping and waking are recurring images in the play. Dreams show up repeatedly in Shakespeare, but Lady Macbeth's sleep-walking scene occupies a particularly special place for the way it briefly but beautifully uses a dream-like state to paint a vivid psychological portrait of guilt. In this famous scene, Shakespeare stages the subconscious and the repressed by allowing an actor to perform the dream state while others witness its horrible implications. 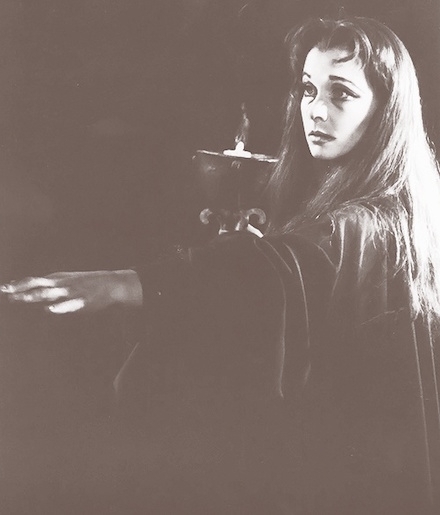 Lady Macbeth first lamented her blood soaked hands nearly 300 years before Freud changed the study of human psychology with his theories about the subconscious, repression, and dreams. The popularity of Freud's psychoanalytic theories has waxed and waned since then, but still Lady Macbeth's sleepless sleeping haunts us. Come and see for yourselves this moment of psychology insightfully exposed by a playwright at the height of his power! Buy online here, call the Hangar box office at 607-273-ARTS (2787), or get your tickets at the door. Want to see the show for free? Ushers are still needed for a few performances. Sign up to be an usher here!